The year 2018 rolled in with much anticipated issues on visa and immigration. What are they and what to expect from those changes? Here are 2018 Australian visas and immigration update so far. On December 20, 2017, the Department of Immigration and Border Protection upgraded itself into Department of Home Affairs. It’s a mega-department (Harry Potter’s Ministry of Magic comes to mind) that brings no-less than 4 departments under one roof. …under recent estimates subject to change, the new super-size department would absorb 500 staffs from the Attorney-General’s department, 300 from the Office of Transport Security in Infrastructure, 30 from the department of the Prime Minister and Cabinet, and 18 from Social Services. It will also bring together various agencies, including the Australian Federal Police, the Australian Security Intelligence Organisation, transport security and emergency services, the Australian Criminal Intelligence Commission and the Australian Transaction Reports and Analysis Centre. Not to mention, the immigration department, as well as border and customs officials. Critics were unimpressed. Not by the low profile nature by which it was launched, but with the purpose (or lack thereof) it will serve. March 2018 will mark the much anticipated (and dreaded) end of sub-class 457 visa and the commencement of its successor, the temporary skill shortage, otherwise known as TSS Visa. Abolishing the most common work visa in Australia will surely have a political impact on the recent government an impact on how things work for skilled migrants. The most obvious one is that the road toward permanent residency is gone for good for some occupations. Sub-Class 457 is dead, Long Live TSS Visa! As per February 2018, Australia requires student visa applicants to have more fund in their account. This is to ensure that they have sufficient fund to pay for their course fees, living costs for them and accompanying family members and other activities while studying in Australia. If you’re contemplating to study in Australia, make sure that you have enough dough in your bank account. At the very least, you need to be able to provide a convincing statement from your parents that the dough is there and they’re willing to bankroll your living and studying expense and that there are still many from where that came from. You can find more info about that here. Some occupations are put into the list, some are out. As expected. As for January 2018, the department has flagged the occupations of Accommodation and Hospitality manager, Hair or Beauty Salon Manager, Recruitment Consultant and Building Associate for removal from the Short-term Skilled Occupation List. At the same time, it proposes to add University Tutor, Psychotherapist, Property Manager, Real Estate Agent and Real Estate Representative to the list. Other than that, following the lobby of interest groups and apparent shortage of pilots in Australia, it’s a most likely event that the occupation of pilot will be put in the MLTSSL, making it eligible for 4 year visa period. Pending to Senate’s approval on the Bill (namely the Migration Amendment (Family Violence and Other Measures) Bill 2016), the 2018 change of Partner Visa will require the sponsor, and not just the applicants, to be assessed as well. Also pending to the Senate’s approval, Australia will introduce a new Temporary Sponsored Parent Visa. As the name suggests, the visa will allow parents of citizens or permanent residents of Australia (and New Zealand) to live in the country. It will allow granted applicants to stay up to 5 years at a time in the country, with 10 years maximum period of stay. The proposed visa will allow migrants to seek a three year visa for their parents for $5000, a five year visa for $10,000 and a ten year visa for $20,000. The price points became the target of backlash from migrant communities since May 2017, SBS News reported. Other than all of the above, we also expect the following changes to take place although it won’t happen anytime soon. The Department of Home Affairs is reportedly contemplating on the possibility of using third-party services to help them processing visa applications. This could expedite things a little bit and reduce cost as well, the government argues. It isn’t clear yet how this system will work. However, the Department will still take the reign on important stuffs like security assessments, intelligence work, enforcement, decisions on ambiguous cases requiring human judgement, and decision reviews. Australia’s visa system is in many respects an artifact of a bygone era and is ill suited (sic) to the future. 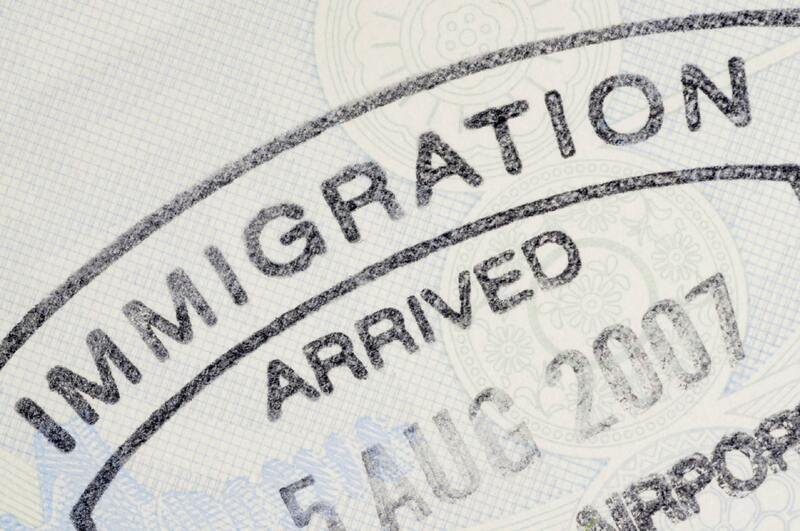 The visa system is highly complex, with 99 individual visa types. With that fact in mind, the then Department of Immigration and Border Protection opened a window where the public, common people and stakeholders alike, could give their two-cents on how things should work in the new visa system. The “public hearing” was concluded in September 2017 and now we’re waiting for the resulting White Paper to be released. Maintain currency of our knowledge of taxation and superannuation risks within the visa holders, visa sponsors and migration agents populations. Identify potentially new or emergent fraud methodologies and those entities controlling or exploiting those approaches. This will be another trending thing in 2018. Instead of slowing down, the debate on whether or not Australia need more migrants will only continue and rage on. Recent development such as “Melbourne African gangs” or stagnant wage, students from China and increasing housing price will only propel the issues even more. Even more, Trump’s (and his administration’s) tendency to mention Australia in his immigration rhetoric will take the national debate to international level. Such debate won’t end any time sooner, especially when politicians, scientists down to common people are so divided on the issue they can arrive at totally different conclusions using the same set of data. Such instance presents in the abolishing of 457 visa. Technology and startup communities in Australia have voiced their strong concern due to its targeting of a lot occupations they need to sustain and survive the already harsh competition of tech businesses. Recently, even Google chimed in, saying that the move will only bring disadvantages to Australian whom the new policy claimed to be its best interest.